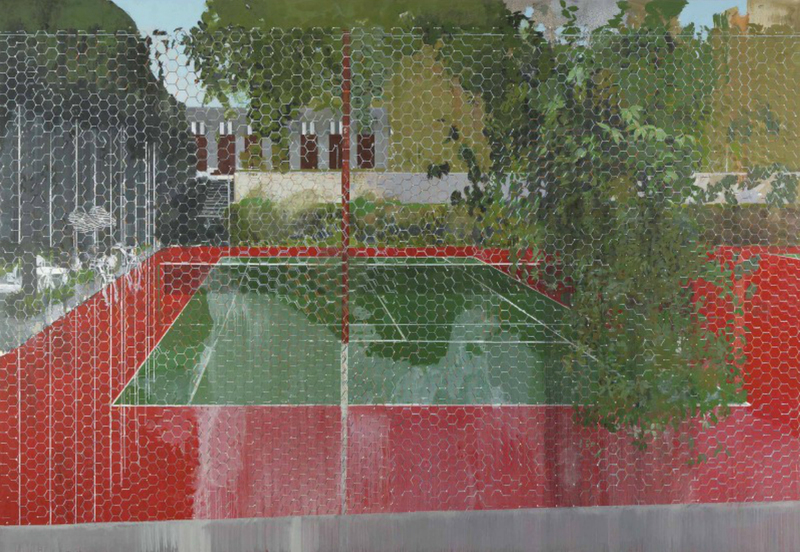 Hurvin Anderson, Country Club: Chicken Wire, signed, titled and dated 'Hurvin A., Tuesday 4th November 2008, Country Club Series: Chicken Wire' (on the overlap), oil on canvas, 94½ x 136¾ in. (240 x 347.3cm. ), Painted in 2008 © Images are copyright of their respective owners, assignees or others.